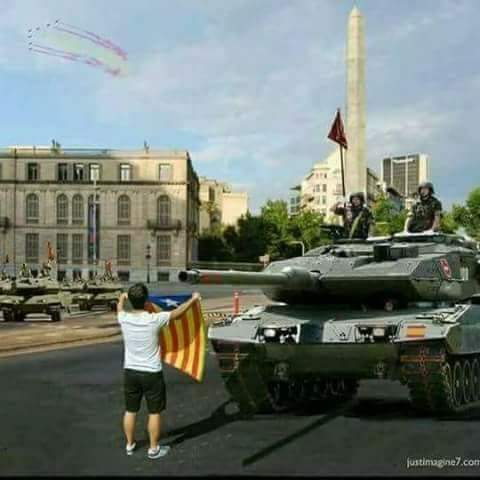 In this picture, a protesting Catalonian man defiantly stood in front of a Spanish military armored vehicle with his flag. He was not shot, arrested nor injured, neither did they call him a terrorist. In Nigeria, the military will kill you for displaying another flag, label you a terrorist and our so-called leaders and intellectuals will blame you for provoking the soldiers. Please let's learn how to love and value our fellow humans.